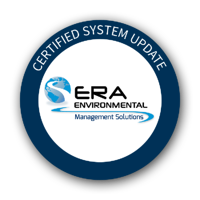 ERA Environmental's regulatory research team ensures that your ERA-EMS is always up to date with with regulatory changes. Every month we'll publish any updates here. It's part of our commitment to excellent customer service, environmental reporting expertise, and protecting your business. Have any questions about these updates? Let us know at info@era-ehs.com. The Office of Environmental Health Hazard Assessment (OEHHA) has added the below listed chemicals to the list of chemicals known to the state to cause cancer for the purposes of the Safe Drinking Water and Toxic Enforcement Act of 1986.